Remember the golden era of bodybuilding when symmetry and size used to go hand in hand in sculpting a physique worthy of the Mr. Olympia title and a reputation that would carry your name through the decades? Indeed, plenty has changed since Arnold Schwarzenegger, Frank Zane, and Franco Columbu graced the stage with their legendary physiques that set the golden standard for bodybuilding. The shifting trends in training and nutrition are the two major factors that have left these enviable physiques in the past, and nowadays people are trying to excavate the teachings of old in order to popularize the massive, chiseled look of the ‘70s and ‘80s. Here to help you become the most aesthetic and massive dude at the gym are the five old-school weight gain tactics for a physique worthy of a bodybuilding legend. Have you even heard of ribcage expansion up until this moment? If you haven’t, don’t worry; this method of maximizing your potential for size and muscle mass has been long forgotten since the old days. Why, nobody knows, but what is factual and unmistakably true is that modern physiques could never expect to reach the size and fullness that old bodybuilders had in their pec areas. Why? Simply put, the pectoral muscles, no matter how big and no matter how much you train them for mass, can never put size on your frame, or the illusion of size, as much as an expanded ribcage can. Expanding your ribcage through certain exercises and proper breathing can do wonders for your weight gain potential, as your skeletal composition will have enough room to accommodate more muscle mass. Fortunately, you can easily start incorporating ribcage expansion exercises into your weekly routine. The best way to maximize your potential and get the most out of your training session is to combine straight-arm pullovers with breathing squats. These exercises done back-to-back along with steady breathing will allow you to expand your ribcage over time, and put more size on your frame as a result. If there is anything old-school bodybuilders were proficient at, it’s their nutrition and diet. Everything in their weekly feeding schedule (the term “feed” instead of “eat” is more suitable when talking about bodybuilders), every vegetable, condiment, and protein source, everything was there for a reason. But beyond macronutrient sources, the main thing legends were famous for was eating enormous amounts of food on a daily basis. Off-season, you would see guys walking around at a “comfortable” 300lbs, gaining muscle and fat at the same time in order to maximize their size before the big cut months prior to competition. The key was in timing. You want to time and optimize your nutrition based on your current goals. If looking good at the beach is your goal and it’s the middle of winter, what the hell are you doing eating broccoli and chicken? Eat like you mean it, gain some quality size, and then slowly start to cut two to three months before beach day. In case you were wondering, science says you actually can’t burn fat and build muscle simultaneously, so instead of missing out, why not maximize your potential by learning how to bulk and cut properly? The gains will come faster, and you will be a happier gym rat for it. You’ve heard of the mind-muscle connection by now, right? And how about the importance of muscle contraction for size and aesthetics? These age-old bodybuilding tricks are just as important nowadays for aspiring lifters as they were 40 years ago, yet few seem to know about them or stick to their regular implementation in their training routines. How much time do you spend in the gym actually focusing on the muscle you’re working? How much time do you spend posing and contracting your entire musculature until you feel like you’re going to a) faint or b) bust a seam? Five? Less than one? There is a reason why old-school bodybuilders would spend hours at the gym focusing on muscle contraction and hitting the perfect pose – they knew it will significantly influence their muscle-building potential and overall size. One of the ways they would achieve this is by constantly keeping an eye on the movement of their muscle fibers during exercise, and revealing muscle tank tops for men were the essential clothing pieces they always wore to help them assess their pump, their peaks, their fullness, and their vascularity. Did you know that the Mr. Olympia title eluded Frank Zane for several years before he finally took the advice of his coach to heart, and started training with heavy weights? While his aesthetics were impressive bar none, he lacked the thickness, the fullness, and the raw mass needed to win the title of all titles. He needed to train heavy, and so do you. There is too much misinformation floating around in the bodybuilding world nowadays, and the notion of light-weight, high-rep training is one of them. While higher reps have their time and place in your training split, and even though time under tension is the main driver of hypertrophy, you need to train heavy with compound movements if you want to maximize your size potential and muscle gain. Remember, a stronger muscle has a bigger potential to become, well, bigger. So be sure to always supplement your moderate and light work with one heavy compound exercise, going for four, five, even six reps of heavy deadlifts, squats, military presses, and of course, bench variations. Finally, in the modern, fast-paced world, getting seven or eight hours of sleep every night might sound more like wishful thinking than reality. Yet if you want to truly achieve your full potential and stay injury-free throughout your career, you will need to optimize your sleeping schedule. This simply means going to bed at the same time every night, and rising as early as possible to take advantage of that early morning spike in testosterone. Resting enough after your workouts will allow your muscles and connective tissue to relax and recuperate, while giving your CNS a well-deserved break before the next lifting session. In the golden era of bodybuilding, you would see competitors left and right implementing these simple weight gain and muscle building tactics on a daily basis. So instead of following popular fads to no avail, take a step back and introduce these time-tested methods in order to sculpt a physique worthy of a true legend. 10 Nutrition Tips To Help You Gain Muscle Fast! 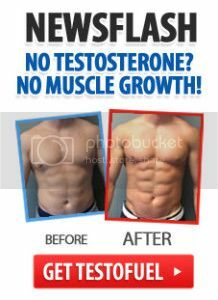 Shock Your Pecs into Growth! How To Build A Muscular Back!